Blood Song in Hungarian is…. …’A Ver Enneke’. I know this thanks to the good folks at Fumax Kiado who are currently printing the Hungarian version with an excellent all new cover by artist Kira Santa. Very happy to see they chose one of my favourite scenes to illustrate. Also, many thanks to my Hungarian translator Kalman Matolcsy for all his hard work on this project. 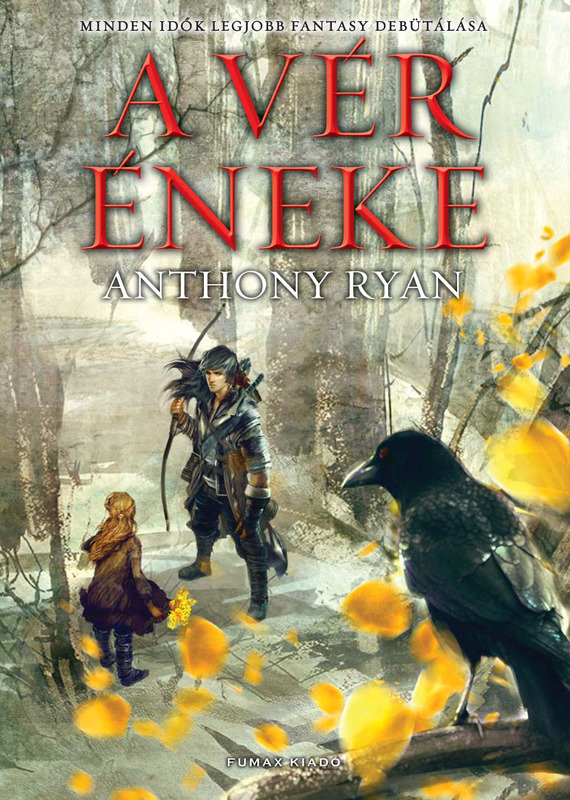 This entry was posted on Friday, March 28th, 2014 at 10:09 am	and tagged with anthony ryan, blood song, Blood Song Hungarian version, raven's shadow and posted in Writing Stuff. You can follow any responses to this entry through the RSS 2.0 feed. Great cover. Entirely different feel from the others! Hi Brian. Yes it’s nice to finally have a painting in the mix. I love this cover. This makes me hope that we’ll see more covers for different translations. I see that the German translation is out. How many more languages do you expect Blood Song to be in? Blood Song has been sold to another 13 countries so there should be plenty more covers to share. Glad you liked this one. Brother and her real life sister. For that I like this cover.